LONDON: A new research study claims that children who avoid greens in their diet are thirteen times more likely to be constipated. According to the researchers, they found that drinking less than two glasses of water daily increases the risk significantly. 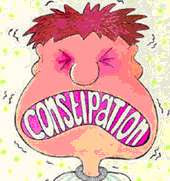 According to the reports by the Journal of Clinical Nursing, Constipation is an often painful condition when bowel movements are infrequent or hard to pass & can lead to more serious bowel obstructions. Moon Fai Chan at the National University of Singapore & Yuk Ling Chan from the Hong Kong Polytechnic University studied the dietary habits of 383 primary school children in Hong Kong.